Captain Brand Tire Sealer & Inflator is designed to quickly seek-out and effectively seal most normal punctures and slow leaks. It is 100% applicable to breach within 6mm on tubeless rubber tyres of cars, motorcycles, electrical bicycles. No jack nor tyre-change is needed. One step procedure of tyre pumping and repairing is finished in seconds. It can also be filled into new tyres to prevent unexpected leakage. Non-toxic and odorless. No corrosion and no damage to the tire. 1. If possible remove object causing puncture. 3. Screw connecting tube firmly onto tyre valve; Hold the can upright-button uppermost-remove protector cap-press button until tyre appears firm. 4. After pumping is finished, disconnect both ends of the tube. 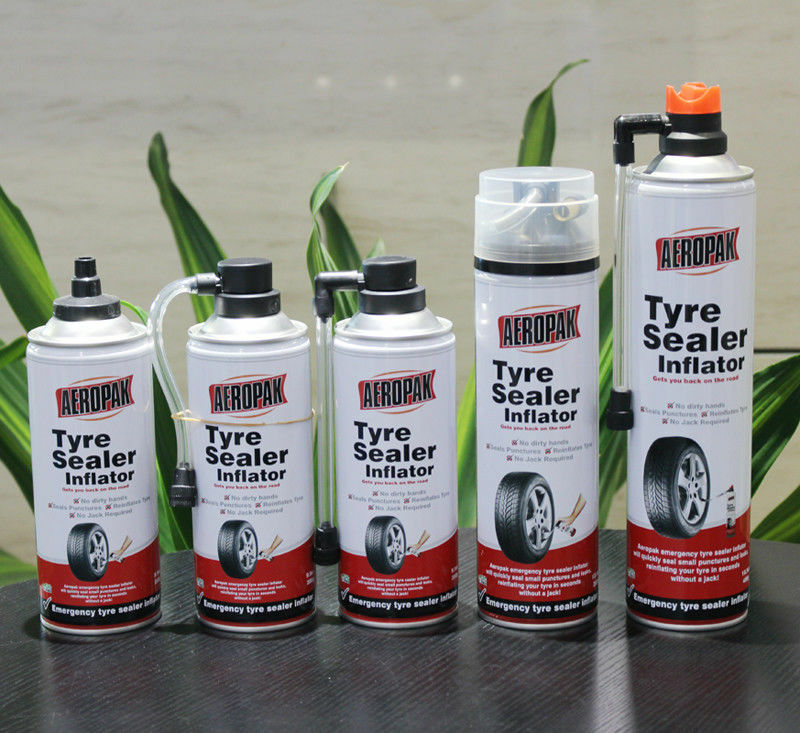 Immediately drive 3-5km to allow the sealer to spread in tyre and mend the puncture. Then check and adjust tyre pressure. 1. It is just for emergency use. Repair your punctured tire with rubber patch at your earliest possibility. 2. Keep away from heat, flame, spark and other source of ignition. 3. Store in a cool, dry place (45°C); Avoid direct sunlight. 4. Do not clash, puncture, or incinerate the can. 5. Keep out of reach of children. We offer free samples within 2 pieces. Samples should be sent after we receive your courier fee. Product : we can produce your requested product after the comfirmation of our Technicists. Package : we can design package based on your requested size. 12. 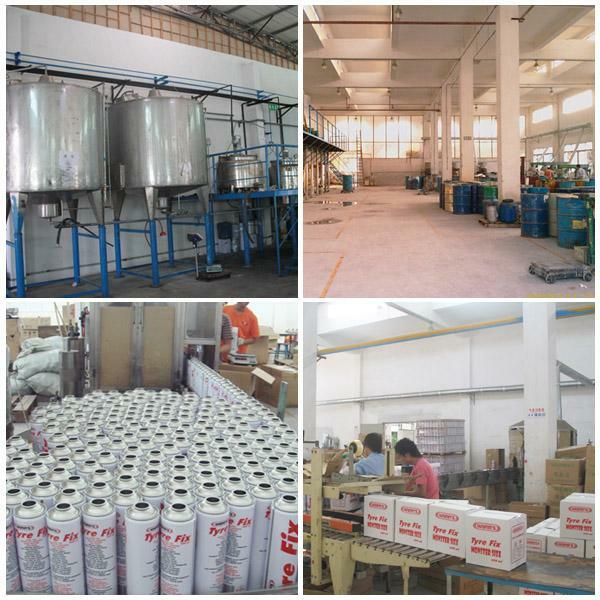 We have our Research and development team, quality control team, design team, sales team. We like to serve you all the best ! Our competitive edge over other suppliers is that we offer solutions rather than supplying goods and services. We provide an excellent combination between prices, quality & responsibility.